Archaeological finds at Gorham’s Cave and other sites have given evidence that Neanderthals lived her until about 32,000 years ago – much more recently than had previously been expected. It is thought that this area was a lush Savannah climate at the time and very rich in food and resources. The BBC have a report from when the caves were granted UNESCO World Heritage status earlier this year. 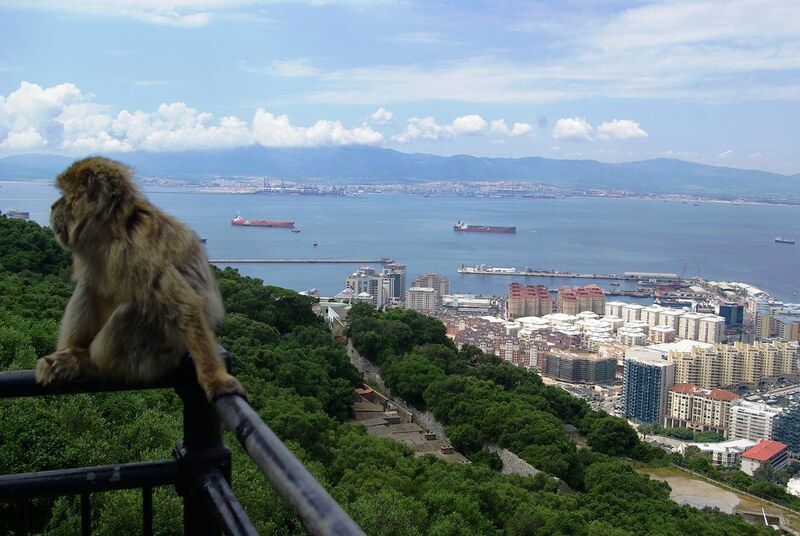 The name Gibraltar comes from the Arabic Jabal Tariq (جبل طارق) named for Tariq ibn Ziyad who led the Moorish/Umayyad conquest of what is now Spain in the 710s; he had gathered his invading troops at the Rock of Gibraltar before pressing inland. If you are interested in hearing Llanito, the English-Spanish creole spoken by some in Gibraltar, you can hear it spoken and discussed in this video of two men at a café. If you liked hearing about the music of Gibraltar, check out Breed 77‘s song El Rio. Some songs that reference the Rock of Gibraltar are by Frankie Laine and Ella Fitzgerald. The Evacuation of civilians during World War II led to many going to the UK, as this British Movietone newsreel footage shows.